Can’t make it to one of our Canvas Open Labs? Need a quick answer to a quick question about how to use a Canvas feature? Well…do you have a minute or two? Literally, just one to two minutes! Atomic Learning, available for free through USF, offers short video tutorials on several Canvas features including Assignments, Groupwork, Quizzes, Communication, and much more. If you have an hour, you can watch the whole series in sequence, or watch one of the specific tutorials, none of which are longer that 2.5 minutes. Accessing these tutorials is quick and easy. 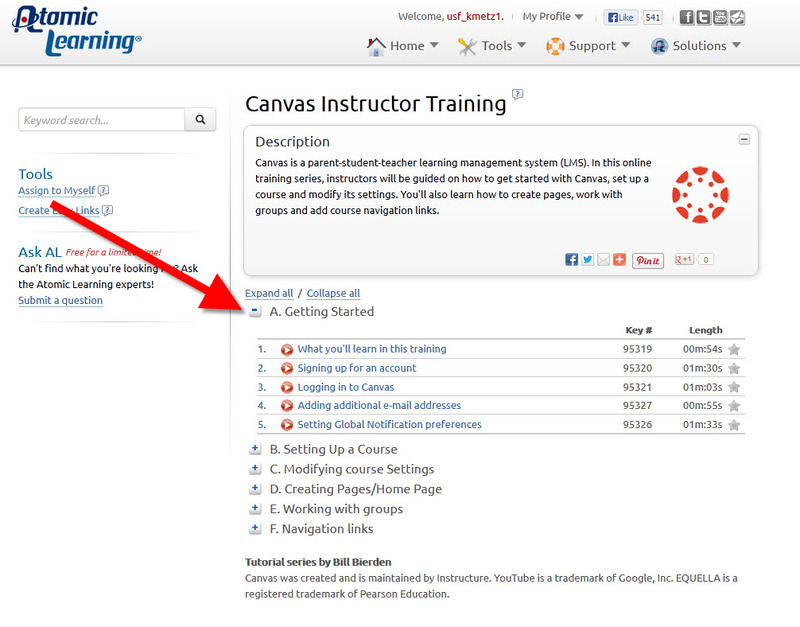 Just visit the Atomic Learning: Canvas Instructor Training Page. Log in with your NetID and Password. Click the “+” icons next to your desired topic to view the available videos. Then click on the title of the video to view. Are you ready for even better news? 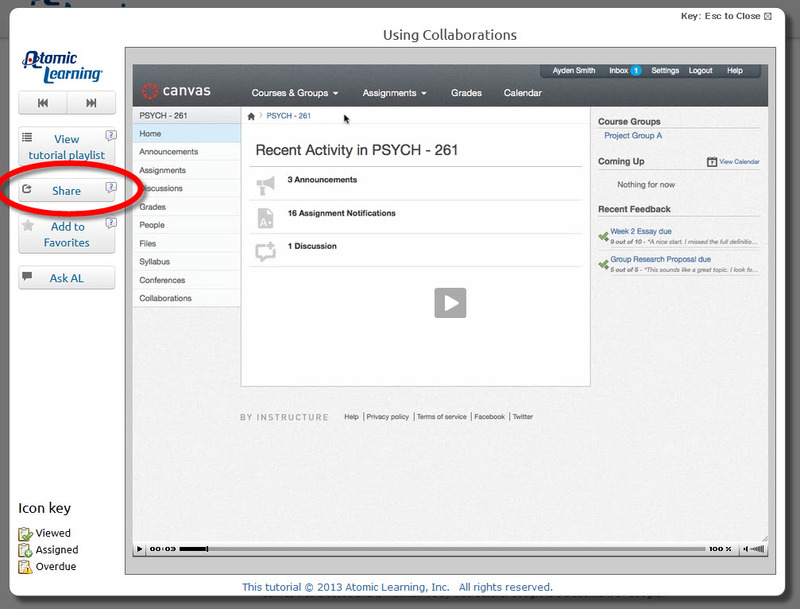 Atomic Learning also has a series of Canvas Video Tutorials for Students. You can share the link and remind students that they will be asked to log in with their NetID and password. Or, if you have a specific tutorial you want them to view, click the “Share” button on the left side of the video viewer and send them the direct link. Engagement is a critical element of learning. If we can get people to pay attention to what we’ve developed or what we’re saying and engage with us, the content, and each other, learning follows. Gaining and maintaining engagement in the physical classroom seems straightforward: If learners look bored or inattentive, we adjust our style on the fly or call on people to recapture their attention. But in eLearning, especially self-paced eLearning, driving engagement requires much more planning, monitoring, and, most of all, creativity. Looking for some quick tips for effective engagement in your online courses? 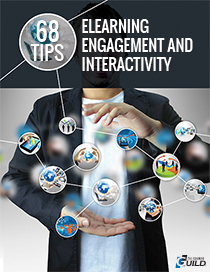 Check out the eLearning Guild’s new publication “68 Tips for eLearning Engagement and Interactivity.” This e-book is available as a free download and is full of ideas and suggestions to increase meaningful learning interactions within your course.